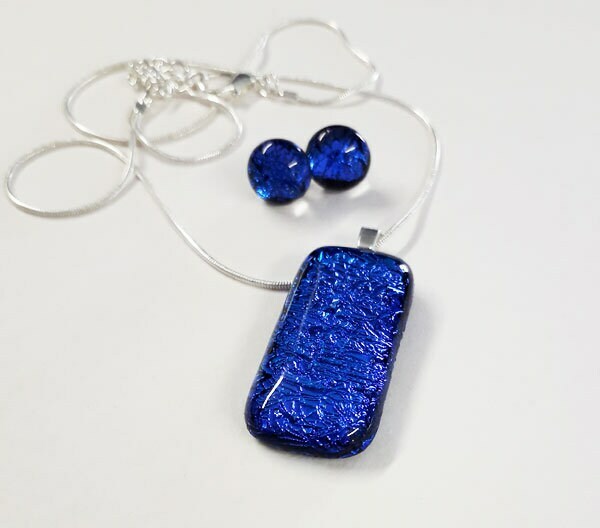 Jewellery set, blue/aqua/purple dichroic fused glass pendant and earring set. 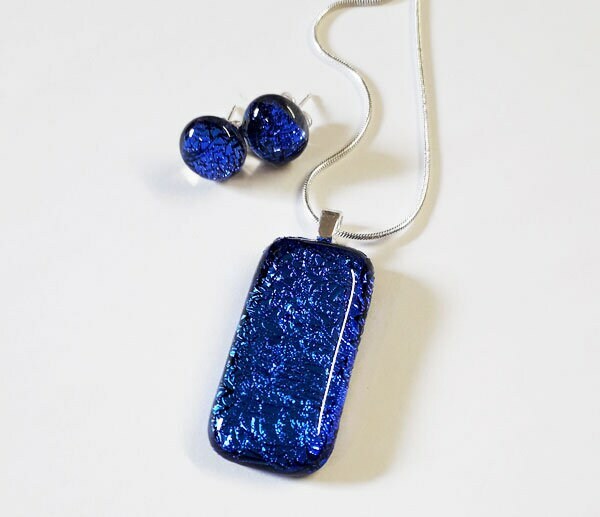 A very sparkly jewellery set, made from blue/aqua/purple dichroic fused glass. The glass has a crinkly, jagged look, with clear glass fired over the top of the whole thing for a smooth finish. 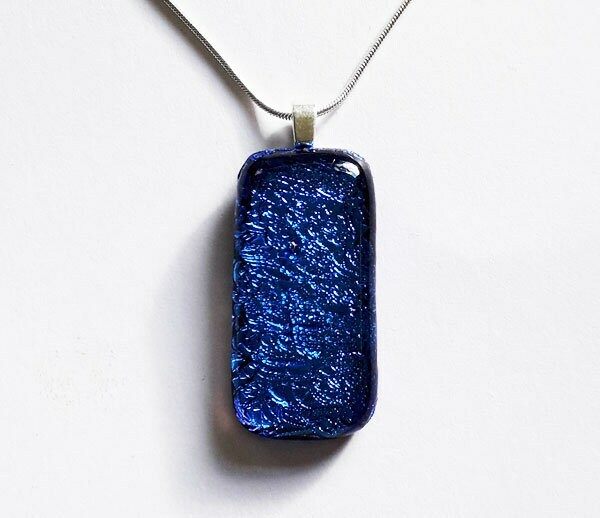 The pendant is about 31mm long, and shows the changing dichroic colours well. 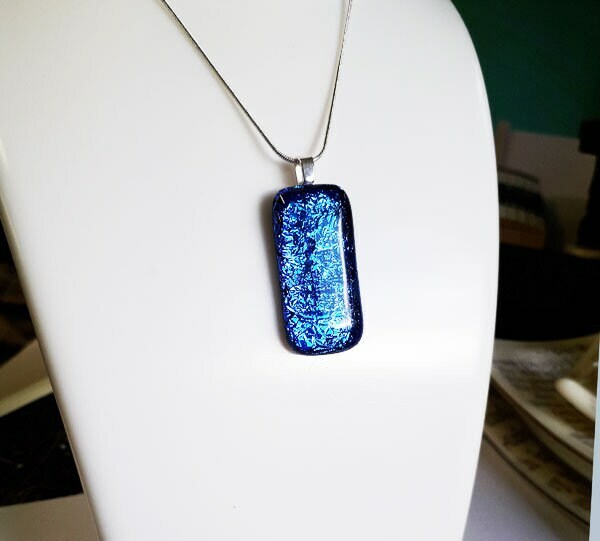 It hangs on an silver snake chain from a silver leaf bail. 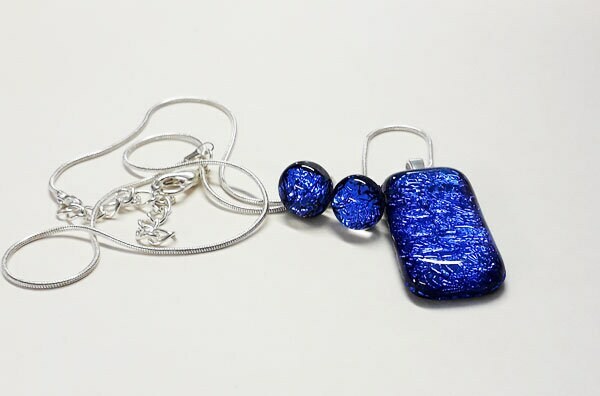 The earrings are about 9mm diameter and match the blue part of the pendant. The posts and backs are sterling silver.